Agriculture will continue to generate employment in Africa over the coming decades, but opportunities should be explored beyond agriculture throughout the food chain in order to create enough jobs for young people, especially those in rural areas, FAO Director-General José Graziano da Silva said today. “Countries need to promote a rural and structural transformation that fosters synergies between farm and non-farm activities and that reinforces” the linkages between rural areas and cities, he added. This includes processing, packaging, transportation, distribution, marketing and service provision, especially financial and business services. 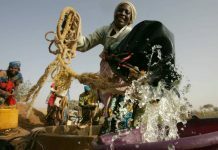 Graziano da Silva made the remarks at FAO’s Regional Conference for Africa which is primarily dedicated to the theme of creating decent and attractive employment in the continent, the world’s “youngest” in terms of the average age of its population. Estimates suggest that up to 12 million new jobs will have to be created every year to absorb new labour market entrants over the next 20 years. Today some 54 percent of Africa’s working force relies on the agricultural sector for livelihoods, income and employment, especially in family farming. Graziano da Silva pointed to FAO’s regional programme, “Youth Employment: enabling decent agriculture and agri-business jobs”, which goes beyond farm jobs and seeks to develop capacity and scale up successful approaches through programme formulation and partnerships. 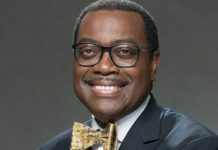 “More than ever, strategic partnerships are needed to bring together the African Union, the African Development Bank and the UN system and other development partners,” the FAO Director-General said. “In this contest, smallholders and family farmers need specific policies and regulations. This includes providing access to inputs, credit and technology and improving land tenure,” Graziano da Silva added, stressing how social protection programmes, including cash transfers can link public food purchase to family farmer’s production. Achieving Zero Hunger remains FAO’s highest priority, one that it shares with African leaders who through the Malabo Declaration have committed to eradicating chronic undernourishment in their continent by 2025 – in sub-Saharan Africa almost one person in four currently suffers from undernourishment. In his address, Graziano da Silva underscored that in line with Sustainable Development Goal 2, achieving Zero Hunger needs to go together with ending all forms of malnutrition, a consequence of which is the current global overweight and obesity epidemic. “The situation is also worrisome here in Africa,” Graziano da Silva said, citing a World Health Organization estimate that obesity-related diseases may become the biggest killer in Africa by 2030. Rapid urbanization and consumption of highly processed foods are the major drivers behind the increase in overweight and obesity. 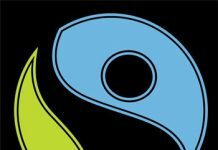 Yet many people in Africa are unaware that certain foods are unhealthy, or that being overweight presents a health risk, the FAO Director-General said. 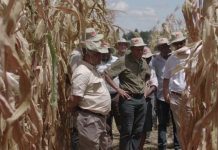 Graziano da Silva also referred to climate change and other pressing issues in Africa and how FAO, together with its partners, is addressing them. FAO is working closely with a wide range of countries around the world that have formally requested the Organization’s assistance to tap into financing from the Green Climate Fund. In Africa to date, FAO is currently supporting the development of six full project proposals – in Benin, Gambia, Kenya, Republic of Congo and Tanzania – several other “readiness” proposals. Africa is particularly affected and vulnerable to climate change, which is contributing to increasing outbreaks of pests and diseases, with Fall Armyworm – which was first reported on the continent in 2016 and has now spread rapidly to almost all Sub-Saharan countries – being a case in point, the FAO Director-General said. 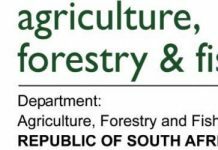 Fall Armyworm – whose moths can fly up to 100 km per night – primarily affects maize, but also rice and sorghum as well as cotton and some vegetables. FAO has been on the front line in responding to the Fall Armyworm threat and recently launched a step-by-step guide for farmers on how to deal with this transboundary pest. 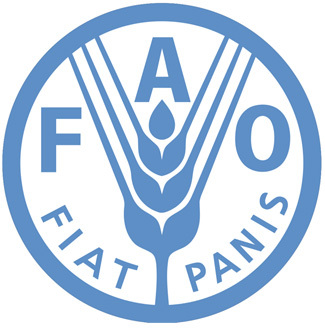 FAO has also developed a mobile app called FAMEWS which allows farmers to detect, monitor and track the spread of Fall Armyworm directly in their fields. FAMEWS has already being used in Madagascar, South Africa and Zambia, before it is deployed in the rest of Africa by the end of February.